TeamSolutions is very pleased to announce the release our latest version of TeamSpec – version 5.1! If you already have TeamSpec installed you will soon be getting a notification that an update is available. This is a major release and is packed with new features, enhancements, fixes, and incorporates a huge amount of user feedback into the product. Please check out our video on some of the new features we’ve added! For the third consecutive major release of Visual Studio, TeamSolutions is proud to announce that we will be sim-shipping new versions of TeamSpec and TeamLook to support the latest and greatest features of Team Foundation Server 2013. Starting with Visual Studio 2010, as a Visual Studio Industry Partner, TeamSolutions has committed to ensuring our customers can continue to use TeamSpec and TeamLook along with the latest version of Visual Studio Team Foundation Server. Continuing with our improvements for Team Foundation Server Test Case work item support, we’re very happy to say we now have the ability to add Test Case Results to your document! This improves your traceability even more by showing the results of the testing for each requirement right there in your project documentation. We’ve added it as a simple field you can drag and drop from the Team Spec Index Panel. As with all other TeamSpec Fields refreshing will update the field to the latest value. Lately we have been putting a lot of effort into improving project traceability by using TeamSpec and Microsoft Word. Out of this effort came one of our favorite new features - the ability to create and edit Test Cases right from Word and publish them to Team Foundation Server! This is great because now you can use the built in editing and review features of Word to author your test cases where they belong - right alongside the relevant Requirements, Product Backlog Items, or User Stories that you’re trying to test. Just fill out the Test Case Steps table with Actions and Results, adding rows as necessary for additional steps. You can then review the steps as normal Word content before publishing the updates to Team Foundation Server. TeamSolutions will be back in Redmond, WA at the end of this month to attend this year’s Visual Studio Industry Partner Summit. In addition we will also have a booth on display at the Partner Solution Expo to showcase the latest features of TeamSpec and TeamLook, and provide personalized demonstrations and answer questions. We look forward to meeting other VSIP partners and members of the Visual Studio team! We receive a lot of feature requests for TeamSpec, and hands down the biggest request over the past few years is what we call “Query Blocks”. Query Blocks allow you to import entire Team Foundation Server (TFS) Queries into your Microsoft Word document. As the query results change TeamSpec will keep your document in sync by detecting these changes and updating or removing work items as necessary. You’ll find the Query Blocks panel in the right-hand pane within TeamSpec. Double clicking on a query will populate the Results Pane. Recently we were contacted by a customer that had some great questions about inserting Product Backlog Items (PBI) and requirements in general, into his Microsoft Word document using TeamSpec. The idea was to run a Team Foundation Server query that contained all the latest backlog items and then automatically insert that into his specification document. The ultimate result would contain the PBI Title and Description fields, with the title formatted as an H2 numbered multi-level list, followed by the description as normal text. Recently, we have received a number of questions similar to the following: "I have a heirarchy of Requirements and PBI (Product Backlog Items) as children to those requirements. How can I represent those easily in my requirements document?" Fortunately, in our latest version published last month, we now have a deep integration with related work items! First of all, we want to thank everyone who uses our products and provides the valuable feedback about our applications. The ideas you suggest really help us determine the “important” features for our customers and what should be given the highest priority. The feedback about bugs and issues is also extremely valuable as sometimes problems happen to slip through our extremely large test matrix. This latest versions we released (TeamLook v4.1 and TeamSpec v4.2) were mostly major feature additions from the previous BETA’s with significant bug fixes and performance enhancements. Additionally we made some changes to the pre-installers which help determine the enormous array of “requirements” to install our software. TeamSolutions is very pleased to announce that we have released our latest version of TeamSpec – version 4.2! If you already have TeamSpec installed you will soon be getting a notification that there is an update available. This is a major release for us and it is packed with new features, enhancements, fixes, and incorporates a huge amount of feedback from our customers into the product. Requirements documents are now dead? This last week at the Visual Studio 2012 launch during the morning Industry Panel, there was a statement that "requirements are now dead" with the new tools VS has launched. We find this assertion a little far reaching and think that requirements are just as important as ever in the ALM process. Requirements Historically Requirements are the building blocks of how you answer the question "What problem are we trying to solve." Whenever you encounter a problem (which you want to solve) you have to define the problem and define the solution to that problem. This is exactly defining requirements – the required aspects to have a solution to your problem. Support for Offline Activations, Now Online! Some of our customers use TeamLook and TeamSpec in environments where their machines do not have access to the internet for security or firewall restrictions. In order for our software products to move out of trial mode they must be activated. In the past we have asked these customers whose machines do not have access to activate online to email us their Unique Machine ID and Activation Key. We would then add the entry to our activation server and send back an Offline Activation Token. To help expedite this process for our customers, we are happy to announce that Offline Activations can be self-serviced on our web site at www.teamsystemsolutions.com/activate. Of course we are happy to process any requests emailed to us, but we hope the availability of this new feature on our web site will make offline activations a snap. I just wanted to share some thoughts about the future for both TeamLook and TeamSpec. 2011 was an amazing year for all of our products. As the adoption of Team Foundation Server continues to increase, we saw registrations and sales of TeamLook and TeamSpec reach record levels. Additionally, the free tool we released, TeamBox, has created quite a buzz with the ability to automatically create support work items. Across all our products and tools, we saw customers using our products in ways we never dreamed of, and continuing to provide us with the type of ideas and feedback that we love to plan into our future roadmap. TeamSpec now supports TFS 2010 and Word 2010! A new version of TeamSpec is out with a ton of new features and support for TFS 2010 and Word 2010. Check out the new TeamSpec with support for TFS 2010 and Word 2010 before it hits shelves. New versions of TeamLook and TeamSpec will be released at the same time as Visual Stuido 2010. TeamSpec and Team System Solutions in the news! TeamSpec gets a shout-out in the Software Development Times! 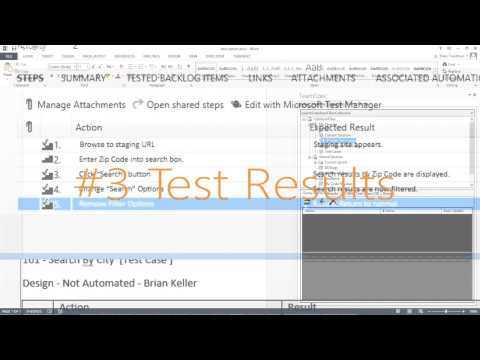 Will TeamSpec and TeamLook support the upcoming VSTS 2010? You bet! Channel 9 interview Juan about our new product, TeamSpec. TeamSpec v1.0 (for TFS 2005 and TFS 2008) has launched and is available now! Introducing TeamSpec, a Microsoft Word add-in, that connects Word to your Team Foundation Server. Connect your requirements document to your server, so they can remain relevant and powerful.